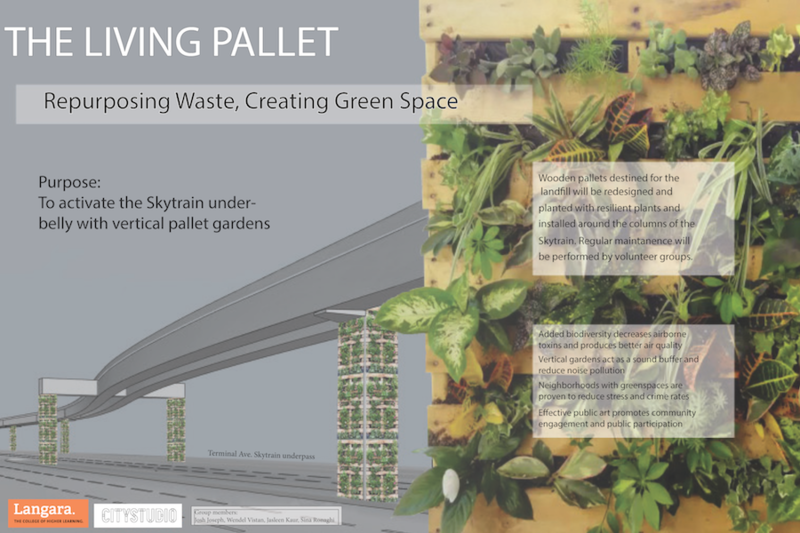 Conceptualizing the implementation of ‘Living Walls’ in Vancouver. In the field of architecture and design, the concept of “Living Walls” is integrated into a term called Living Wall Systems (LWS), which is classified as a Building Integrated Vegetation (BIV) (Giordano et al., 2017). According to this paper, LWSs can be described as self-sufficient vertical planting units that are fixed to the exterior or interior of a building. According to Green Over Grey (n.d.), a design firm that specializes in vertical gardens, “[Living Walls] differ from green façades (e.g. ivy walls) in that the plants root in a structural support which is fastened to the wall itself. The plants receive water and nutrients from within the vertical support instead of from the ground.” Few examples of Living Walls exist in Metro Vancouver. However, the implementation of Living Walls is increasing within urban settings due to its innovative design and aesthetic value. The nearest example is a Living Wall affixed within the atrium of SFU Harbour Centre. Blusson Hall at SFU Burnaby is also home to a 655-square foot exterior Living Wall system. 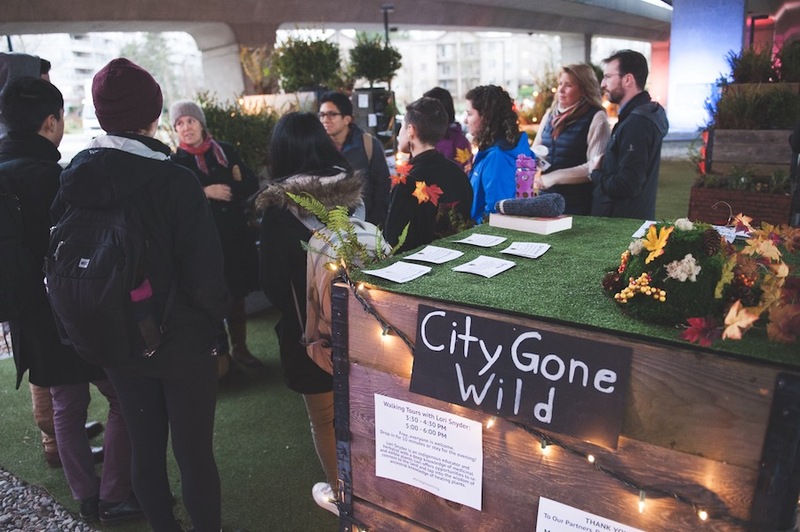 Our group conceptualized the implementation of ‘Living Walls’ within the City of Vancouver. 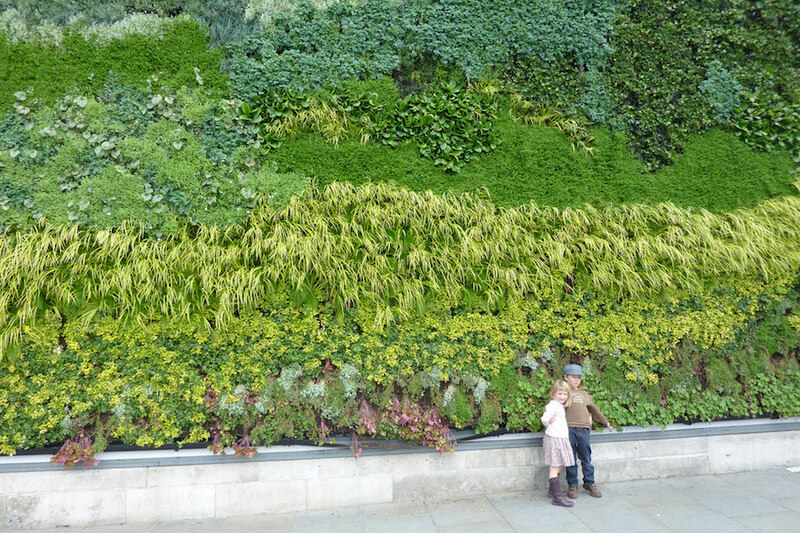 Living Walls, or green walls, are defined as “…self-sufficient vertical gardens that are attached to the exterior or interior of a building” (Green Over Grey, n.d.). This project would fall under the existing GCAP 1.0 strategy of financing tools and incentives to green existing buildings. The project would also benefit other GCAP goals, such as Climate Leadership, Access to Nature, Clean Air, and Local Food.